Year: 1954 Item #: 489 Views: 5,240 Comments: No Comments. Image scaled down from 790px to 740px wide. Click the image to view the original. Croaky? Dirty weather calls for Kilkof. 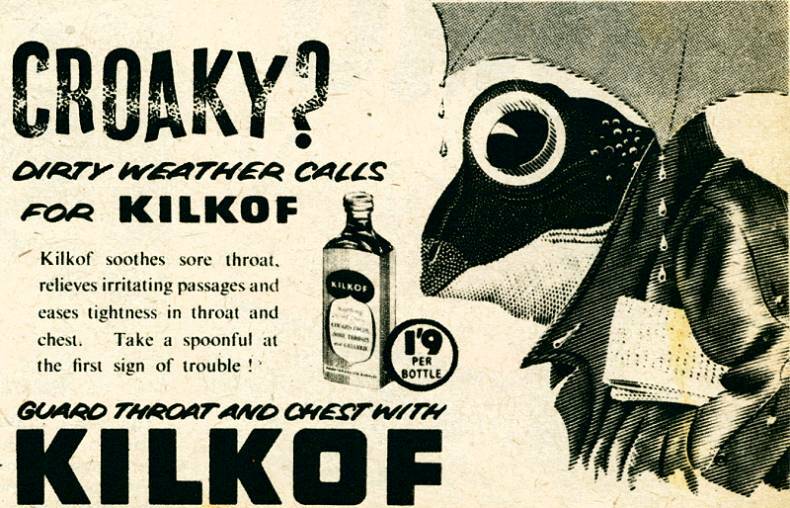 Kilkof soothes sore throat, relieves irritating passages and eases tightness in throat and chest. Take a spoonful at the first sign of trouble!